Explore from our exclusive collection of online shopping in Pakistan Full Housing Cover Case (Black) For Blackberry by Blackberry from the category of Cases that is available to you at low price in Pakistan with no shipping charges. This package includes Keypad, Battery Door and Middle Plate. It is of imported quality and hence is perfect for your Blackberry Q10. You can explore more from our online shopping in Pakistan with no shipping charges in Pakistan and enjoy hassle free online shopping in Pakistan with cash on delivery across Pakistan. 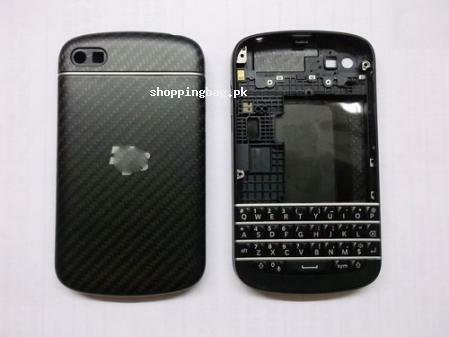 You can explore more from our online shopping in Pakistan such as; Digitizer Touch Screen & LCD Display for BlackBerry Q10 - Black Glass Screen Repair / Replacement Part, OEM Smays-US BlackBerry Q10 Qwerty Keypad Keyboard w/ Flex Cable – Black, SUPERSHIELDZ- High Definition (HD) Clear Screen Protector For Blackberry Q10 + and many more. Place your order quickly and enjoy online shopping in Pakistan at low price in Pakistan.